This article is the continuation of our ongoing series about Linux Top Tools, in this series we will introduce you most famous open source tools for Linux systems. 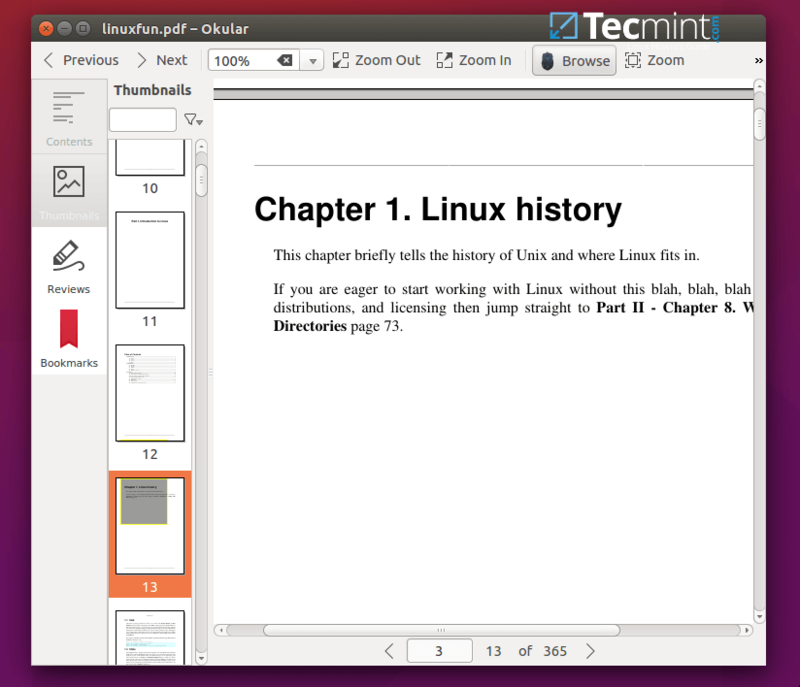 With the increase in use of portable document format (PDF) files on the Internet for on-line books and other related documents, having a PDF viewer/reader is very important on desktop Linux distributions. 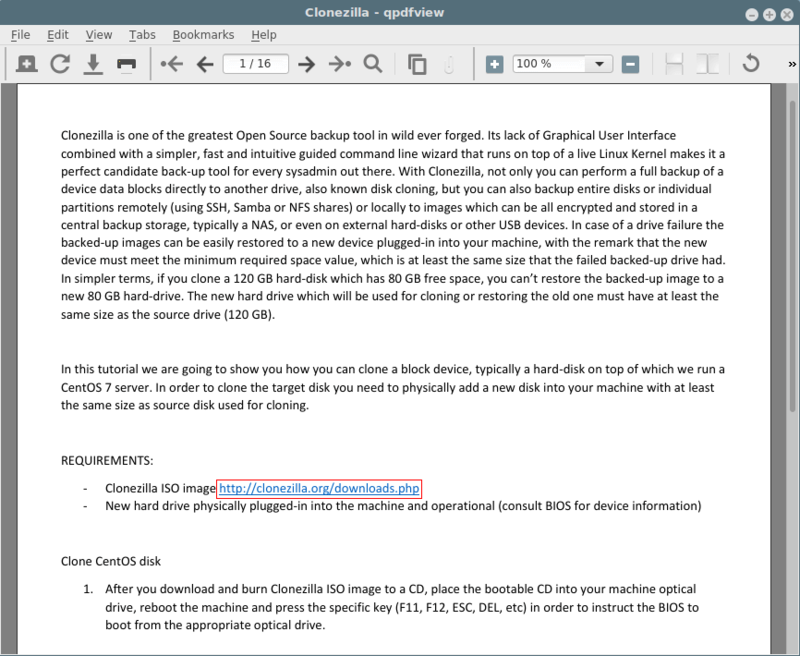 There are several PDF viewers/readers that one can use on Linux and they all offer related basic and advanced features. In this article, we shall look at 8 important PDF viewers/readers that can help you when dealing with PDF files in Linux systems. 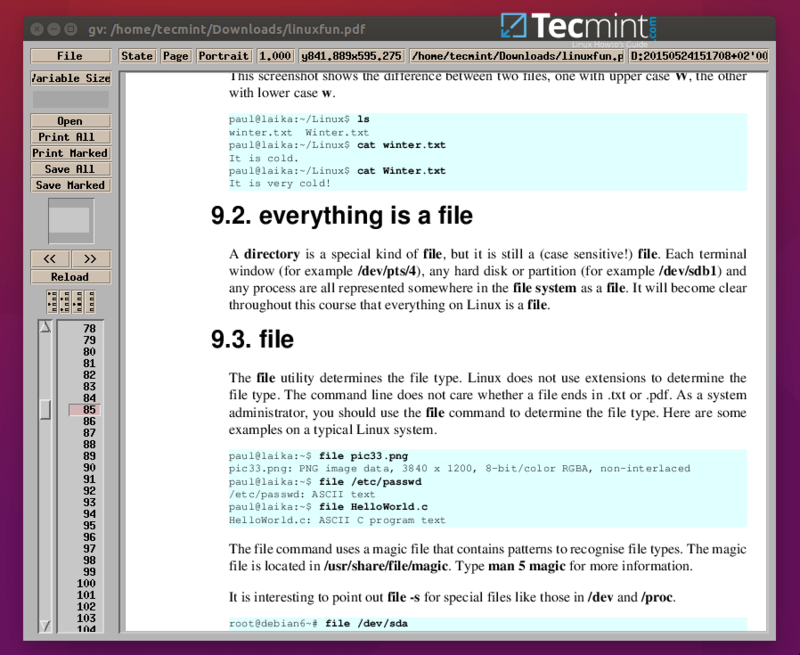 It is universal document viewer which is also a free software developed by KDE. It can run on Linux, Windows, Mac OSX and many other Unix-like systems. It supports many document formats such as PDF, XPS, ePub, CHM, Postscript and many others. 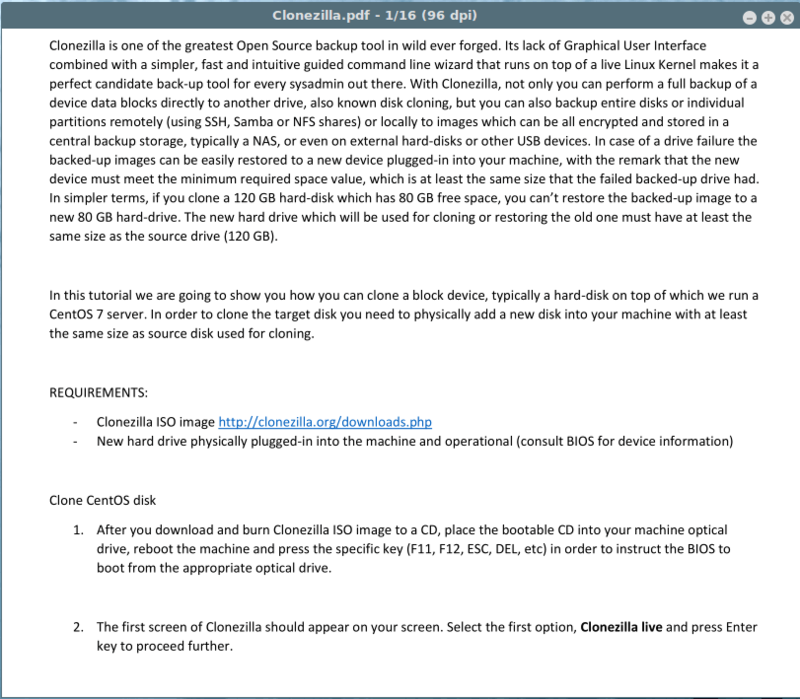 It is a lightweight document viewer which comes as the default on Gnome desktop environment. It supports document formats such as PDF, PDF, Postscript, tiff, XPS, djvu, dvi, plus many more. It is a cross platform, small and fast secure PDF reader. The latest version as of this writing is Foxit reader 7 which offers some security features that protect against vulnerabilities. Add/verify digital signatures and many more. It is a general-purpose web based PDF viewer built with HTML5. It is also an open source, community driven project that is supported by Mozilla labs. It is an old and open source PDF viewer for the X windows system that is supported on Linux and other Unix like operating systems. It additionally includes a text extractor, PDF-to-PostScript converter and many other utilities. It has an old interface, therefore user who care so much about nice graphics may not enjoy using it so much. It is an old PDF and Postscript document viewer that works on an X display by providing a graphical user interface for the Ghostscript interpreter. It is a improved derivation of Ghostview developed by Timothy O. Theisen, which was originally developed by Johannes Plass. It also has old an graphical user interface. 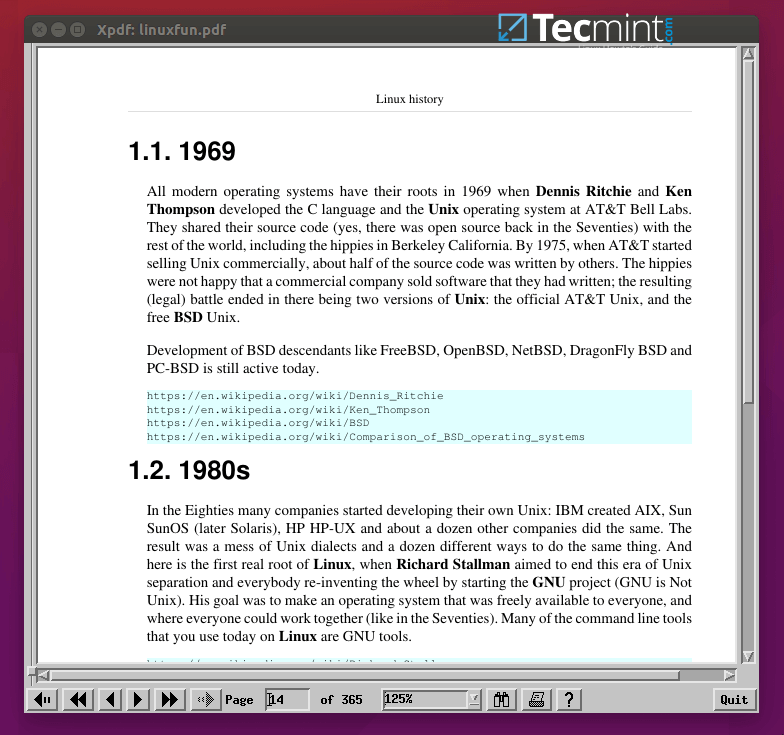 Mupdf is a free, small, lightweight, fast and complete PDF and XPS viewer. It is highly-extensible because of its modular nature. 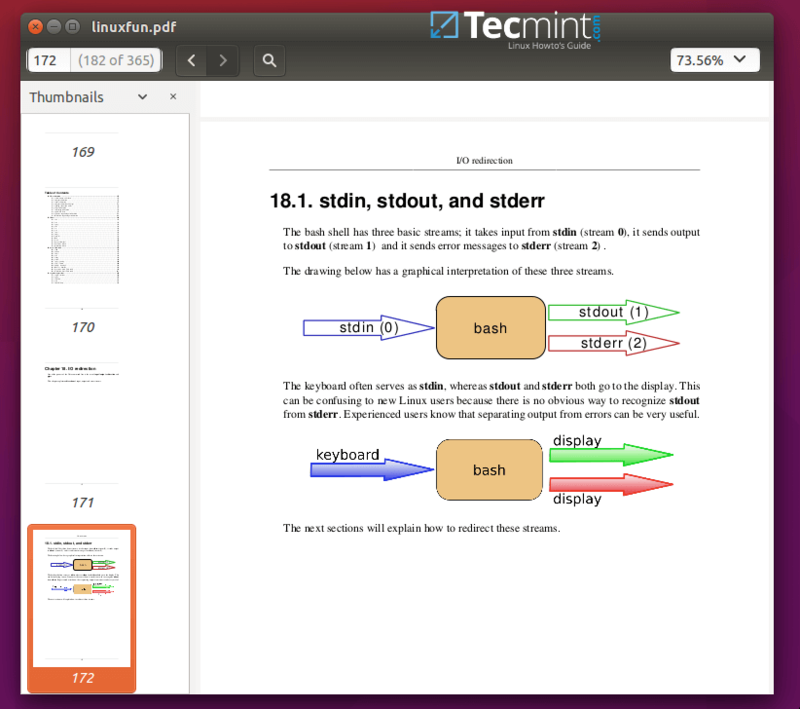 qpdfview is a tabbed document viewer for Linux that uses Poppler for PDF support. It also supports other document formats as well, includin PS and DjVu. Many people these days prefer using PDF files because many on-line documents and books now come in form PDF files. Therefore getting a PDF viewer that meets your needs is vital. I hope you find this article useful and if we’ve missed any tool in the above list, do share in the comments and don’t forget to share your additional thoughts, you can leave a comment in the comment section. I was searching for a PDF viewer with a small memory print but usable and GV is a real find and surprisingly small if you consider all it does. Thank you! It’s good that you have found something you were looking for. Thanks for the feedback. Correct me if I am wrong, but Okular does not support 3D embadded graphics. The PDF media extension is currently only supported by Adobe Reader. It has an embedded 3D model, so it should support for 3D features like 3D embedded graphics. The screenshots didn’t show one important thing: In Okular, you can have the normal menubar (file, edit, view etc) which makes your life so easy. In evince, there used to be a similar menubar, but no more – just the awful hamburger button with many missing properties. The new evince (3.28) has also another problem: resizing he window doesn’t work at least in kde plasma. Okay, many thanks for sharing your concerns with us.